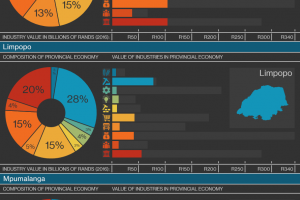 Finance is the biggest industry in Gauteng and the Western Cape. 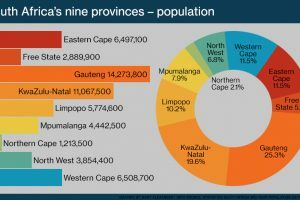 Mining dominates in Limpopo, Mpumalanga, North West and the Northern Cape. KwaZulu-Natal’s major industry is manufacturing. In the Eastern Cape and Free State, it’s government services. South Africans migrate to where the jobs are. They move from poorer provinces to the richer ones, and from rural areas to the cities. 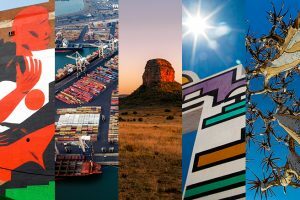 South Africa has nine provinces, each with its own history, landscape, population, languages, economy, cities and government. 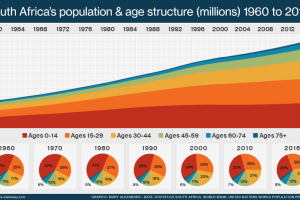 There’s a lot of talk of South Africa’s population being dominated by the youth. But we’re less youthful than we have been for decades. 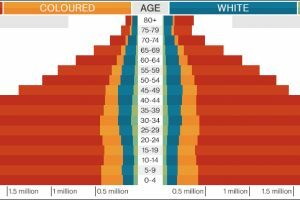 The end of apartheid, better healthcare, widespread social welfare and greater economic opportunities all mean South Africans are now able to live longer lives. From 1960 to the late 1980s, apartheid laws kept families and communities in poor rural areas. Young men alone were allowed to move to the cities, where their labour was valuable. 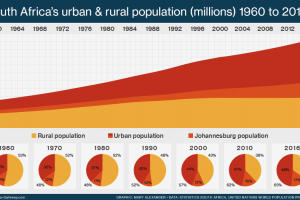 After the end of apartheid, from the mid-1990s, urbanisation increased rapidly. 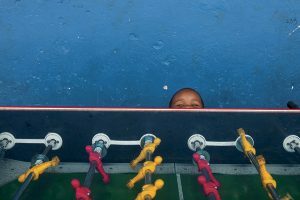 The death rate of children is the starkest indicator of the health of a country’s society and economy. 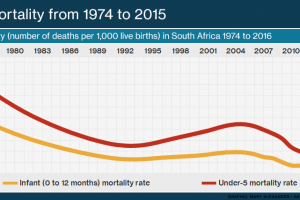 In 1974 South Africa’s mortality rate – deaths per 1,000 live births – was 88.1 for infants under a year and 125.5 for under-fives. 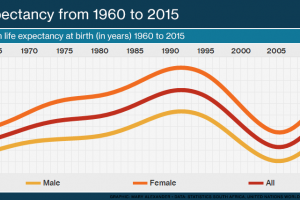 By 2016 it had dropped to 34.2 for infants and 43.3 for under-fives. 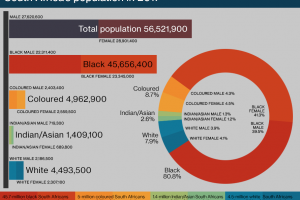 Gauteng, small but crowded, has an average of 785 people per square kilometre. 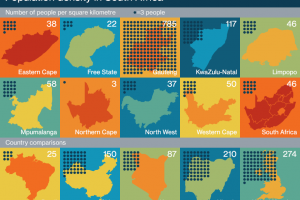 The empty but enormous Northern Cape has a population density of only three people for each square kilometre. 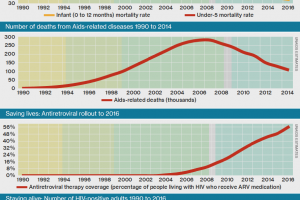 In the West the peak of the Aids epidemic was in 1985. 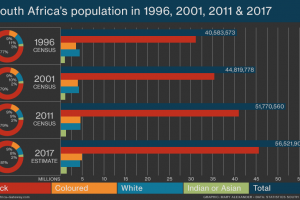 But HIV and Aids hit South Africa only in the 1990s, just as we were starting to build a new society out of the ruins of apartheid. Here, the epidemic peaked in 2006.